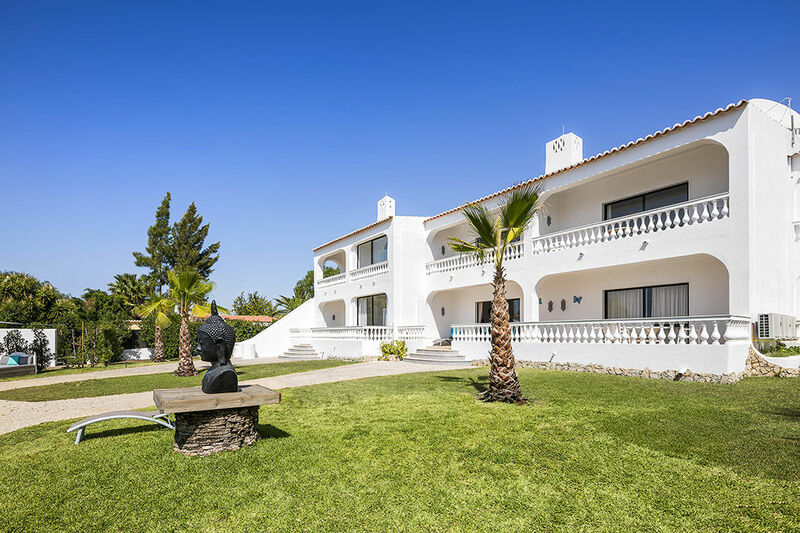 Prime location, close distance to the Algarve´s most beautiful beaches and just minutes away from old fishing villages with an exciting nightlife, restaurants and activities. 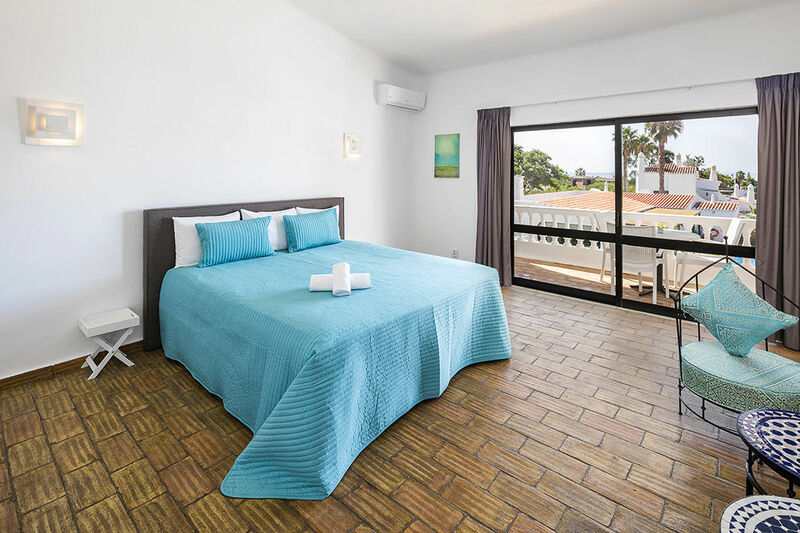 Fully equiped “ beach style” studio tucked away in a stunning surrounding, with sea view, newly decorated, private patio, communal pool and areas. 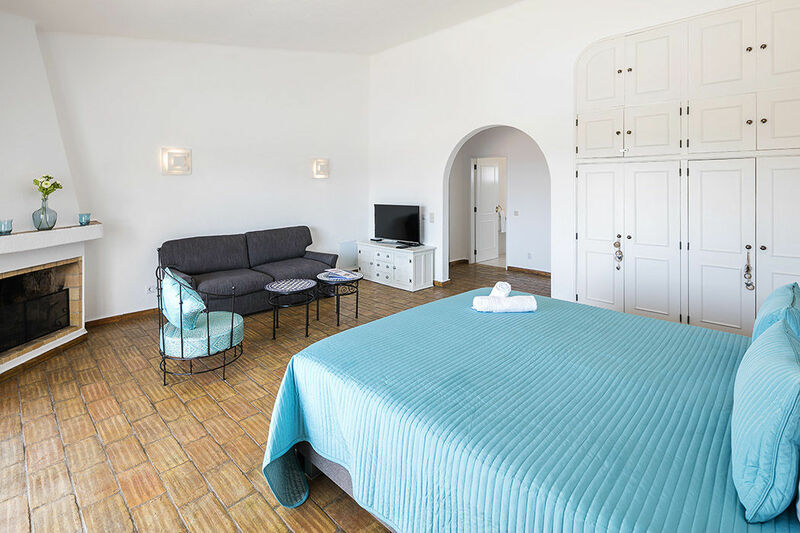 Casa Bermuda has a living area which is combined with the bedroom. The living room contains all comforts, featuring a beach style living room with comfortable sofa. The bedroom is combined with the living area. It includes air-conditioning and a king size bed. 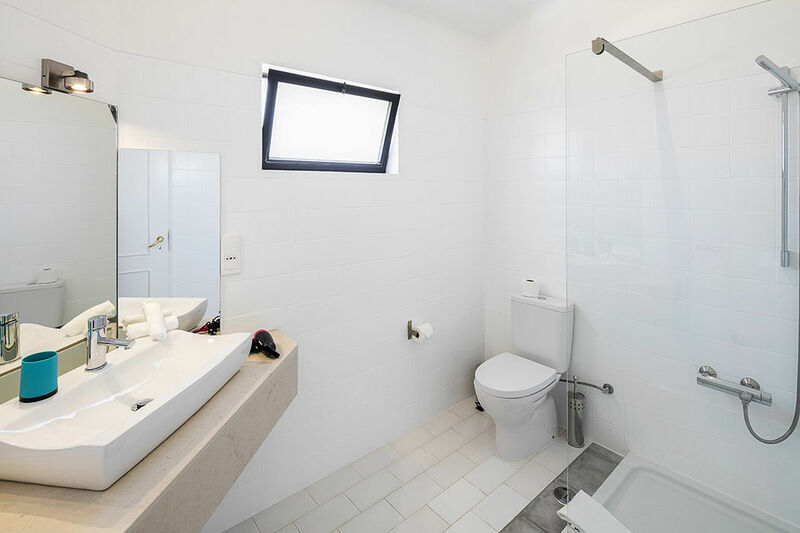 This appartment features a fully equipped en seperata bathroom. 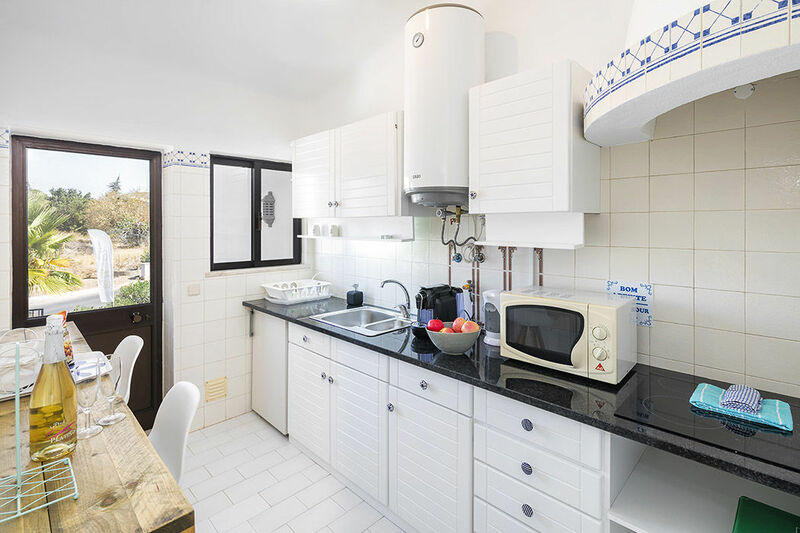 The spacious kitchen is fully equipped and perfect to make a delicious meal! 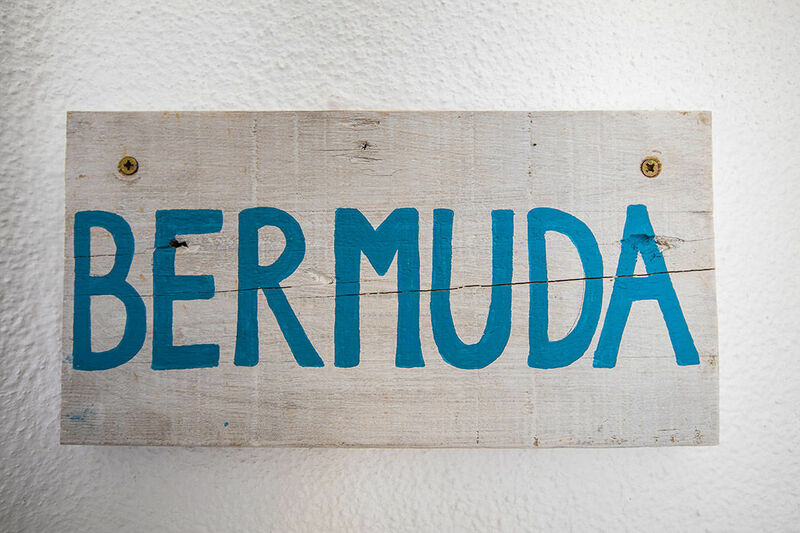 Casa Bermuda contains all comforts. 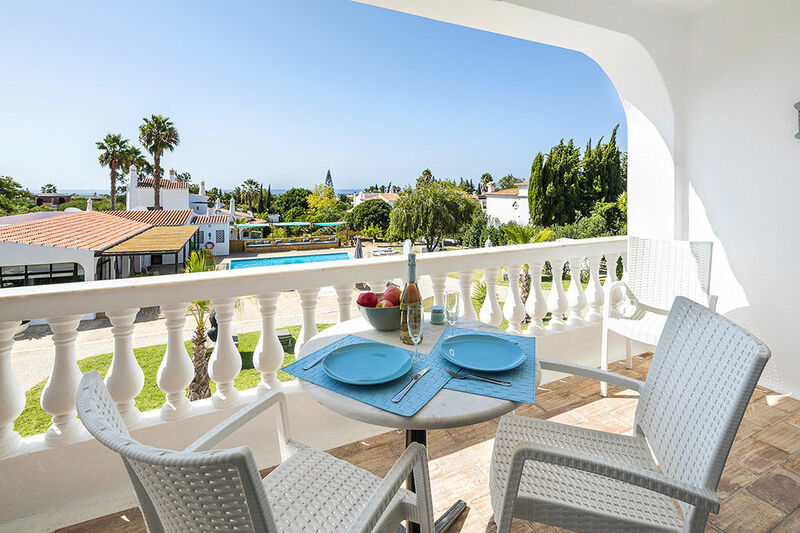 The appartment features a large terras with an outside dinning set, a fire place and a beautiful sea vies. You can use the communal swimming pool with children's paddling area and other common areas. 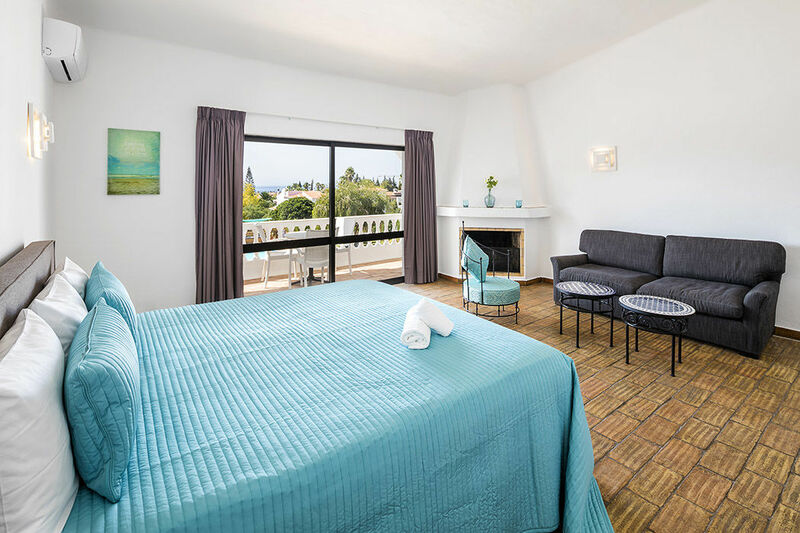 Vale a Pena Resort is situated just 2km from the small picturesque village Carvoeiro (approx. halfway between Albufeira and Portimão). It is a small former fishing village nestled between cliffs, surrounded by a mix of traditional houses and narrow cobbled streets. The cliffs and hilly pathways offer the most amazing views along the coastline with its many caves, grottoes and cove beaches. The village itself is small, consisting of three main streets, but these streets offer a huge selection of restaurants, shops, bars and services.